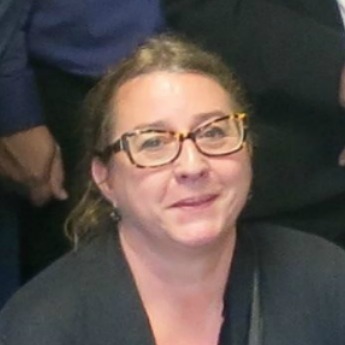 Nadine Richez-Battesti is co-coordinator of the TSI research programme for the Institute of Labour Economics and Industrial Sociology (LEST- CNRS). She is a lecturer at the Aix-Marseille University and researcher in economics at the LEST. She is co-responsible of the second year of the Master Degree specialised in the management of third sector organisations of the Aix-Marseille University. She is a member of research networks at national and international levels (e.g. CIRIEC International, CIRIEC France, RIUESS). Nadine is responsible for one of the two research programmes of the LEST on labour markets, professional trajectories and professions. She is part of the executive committee of the Institute, and is the chairwoman of the scientific committee of the Social Economy Observatory of the Provence-Alpes, Côte d’Azur Region. Her main research fields are social economy, governance and democracy of social economy, organizational studies, social innovation, cooperative banks and quality of work in social economy. Richez-Battesti N., Petrella F. (2013) Social networks and Entrepreneurship, in Elias G. Carayannis (ed. ), Encyclopedia of Creativity, Invention, Innovation, and Entrepreneurship, pp 1693-1700, Springler. This paper first shows the diversity of network analysis approaches and the influence of the discipline’s starting points. Networks are then characterized in terms of indicators and methods. The interorganizational dimension of networks is more specifically characterized. Finally, the contributions and limits of network theory are discussed. Melnik, E., Petrella, F. et Richez-Battesti, N. (2013), Does the Professionalism of Management Practices in Nonprofits and For-profits Affect Job Satisfaction?”, International Journal of Human Resource Management, Volume 24, Issue 6, March 2013, pages 1300-132. This paper examines workers’ satisfaction related to the level of professionalism of managerial practices in the French services sector. Richez-Battesti N., Leseul G. (2014), Cooperative banks in Europe: Emergence, change, and challenges, In: Karafolas S.: Cooperative banks in Europe. A paraître. The aim of this article is to present an overview of cooperative banks in France starting from their emergence, then provide the features of this model, their evolution in recent years, as well as the issues involved. Petrella, F & Richez-Battesti, N. (2014) Social entrepreneur, social entrepreneurship, social enterprise : semantics and controversies, Journal of Innovation Economics & Management, n° 14, 2014/2. Although interest in social entrepreneurship is growing, it is still a controversial notion. Based on a literature survey, this paper identifies the major elements of controversy. Research project at the French national level, Direction de l’animation de la recherche, des études et des statistiques (DARES), Ministry of Labour, Employment and Health. The CINEFOGO Network is concerned with the importance of improving citizens’ participation in governance. This requires new knowledge on the role of multiple identities, active citizenship and organized civil society. CINEFOGO is a consortium consisting of more than forty universities and research institutes, and a number of public service institutions in 15 European countries. In addition, Harvard University from USA participates. The Network includes about 100 individual researchers. Almost half of these are women. The CINEFOGO’s mission is to generate and spread knowledge on the evolution of citizenship and multiple identities in Europe, and addressing civic apathy and social exclusion in Europe. CINEFOGO has organized the activities by giving focus on research, education and public debates within three thematic areas: “Identities, Values, and Civic Cultures – Integration and Diversity”, “Citizenship and Civic Participation in Relation to Social Protection”, “Multi-level Governance and Organized Civil Society”. This research group of the Ciriec International is aimed of understanding the evolutions that social and health services are facing concerning their provision, their regulation and their financial resources, both in countries trying to achieve decent levels of social benefits despite the limited resources available or in richer economies that have important challenges to meet such as social cohesion or aging populations. These changes and reforms raise the question of the economic nature or their market dimension of social and health services : are social and health services different from other economic services? Do competition rules, especially in the EU, apply to social services and health? It is also necessary to identify what are the new instruments of public intervention in the field of social and health services and their consequences. The aim of this study was to collect facts and illustrations to improve the knowledge of both service providers and the European Commission on questions concerning the application of the EU rules to the development of social services. The study covers a broad range of topics relevant for all social and heath services of general interest but also studied five sectors more in detail (child care, social housing, long-term care for the elderly, social integration and re-integration, labour market services for disadvantaged persons) for the situation in eight countries: the Czech Republic, France, Germany, Italy, the Netherlands, Poland, Sweden, and the United Kingdom. Pilots: The European Centre for Social Welfare Policy and Research (Vienna, Manfred Huber), the Institute for Social Work and Social Education (ISS) (Frankfurt/Main, Mathias Maucher, Peter Herrmann, Bernd Schulte) and the Ciriec International (Barbara Sak et Bernard Enjolras).